The rent at Avalon Belltown Towers Apartments ranges from $1,955 for a studio to a $4,290 two bedroom. Apartments in this building are about 10% more expensive than the Belltown average. 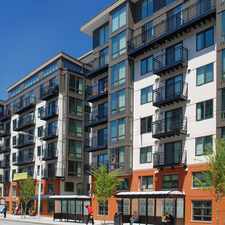 Avalon Belltown Towers Apartments is a 12 minute walk from the South Lake Union Streetcar at the Westlake Ave & Virginia St stop. This apartment is in the Belltown neighborhood in Seattle. Nearby parks include Regrade Park, Olympic Sculpture Park and Denny Park. Avalon Belltown Towers Apartments has a Walk Score of 98 out of 100. This location is a Walker’s Paradise so daily errands do not require a car. Avalon Belltown Towers is now leasing studio, one, and two bedroom apartment homes and two and three bedroom penthouses steps from everything Seattle has to offer. This pet friendly and smoke free community features thoughtfully designed layouts and finishes including open concept kitchens with gas appliances, quartz countertops, air conditioning, and select homes with floor to ceiling windows and unparalleled city views. Community amenities include a 24th floor Sky Lounge and terrace with 360 degree views, 7th floor lounge with space to work from home, a WAG Pet Spa, concierge service, and controlled access garage parking. 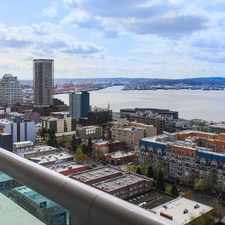 Avalon Belltown Towers is conveniently located steps from the waterfront and provides easy access to South Lake Union, Downtown, Capitol Hill, and Queen Anne. Explore how far you can travel by car, bus, bike and foot from Avalon Belltown Towers Apartments. Avalon Belltown Towers Apartments is a Rider’s Paradise which means world-class public transportation. Car sharing is available from Zipcar and RelayRides. 210 Wall Street compared to all of Seattle. How do you feel walking near 210 Wall Street? Avalon Belltown Towers Apartments is in the Belltown neighborhood. Belltown is the 4th most walkable neighborhood in Seattle with a neighborhood Walk Score of 97.